Shopkit comes with a default list of countries that your customers can choose from to determine Shipping rates during checkout. You also use this list of countries when creating Shipping and Tax rates in the Panel. 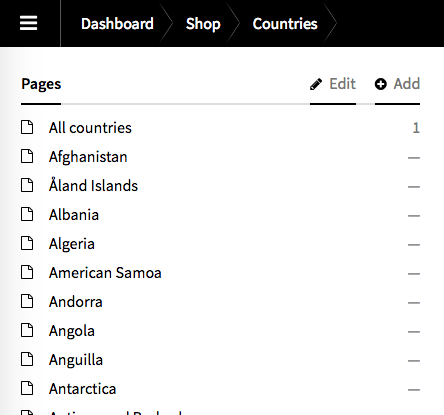 If you want to add more countries to the list, or remove them, navigate to Dashboard > Shop > Countries in the Panel. The direct link is example.com/panel/pages/shop/countries/edit. Don’t change the All countries page. 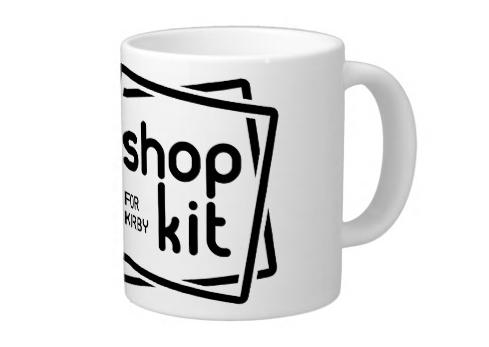 This is required for Shopkit to work properly. It is also the only country page that should be marked as visible. 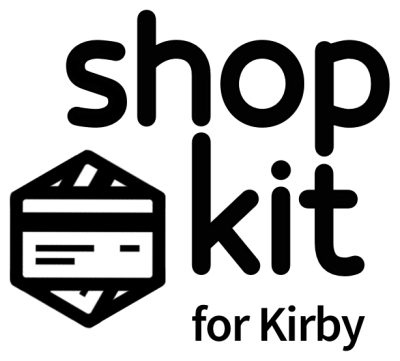 To remove a country from Shopkit, simply delete its corresponding page. To add a new country, add a new page under Shop > Countries. Make sure it stays invisible. Feel free to edit the Title field of any country. That won’t affect Shopkit’s handling of country codes. You may want to add a “country” that is actually a sub-national region. For example, if you are based in Paris, France, you could offer free shipping to customers in Paris. For this scenario, add a new Page under Shop > Countries called France – Paris. For ISO Country Code, put FR-PA. The two-letter country code always should go first, then a dash, then the local abbreviation. This format is necessary for proper integration with payment gateways.